NADCA Chapter 30 and the American Foundry Society Southern California Chapter co-host the metal casting industry's annual Vendor's Night. 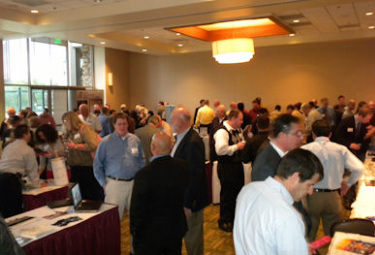 The event draws dozens of vendors and over 125 attendees from foundries and die casters across California. Vendor's Night also serves as NADCA Chapter 30's annual meeting, where the organization elects its board members and bestows the Distinguished Service Award on a leading individual from the die casting industry.